Elijah, Your prophet, called to declare an end to the three year drought sent because a wicked king and his Baal-loving wife polluted Your people’s worship. Elijah, the prophet who insisted that Your people make a decision: Choose once and for all whom to follow: God or Baal. 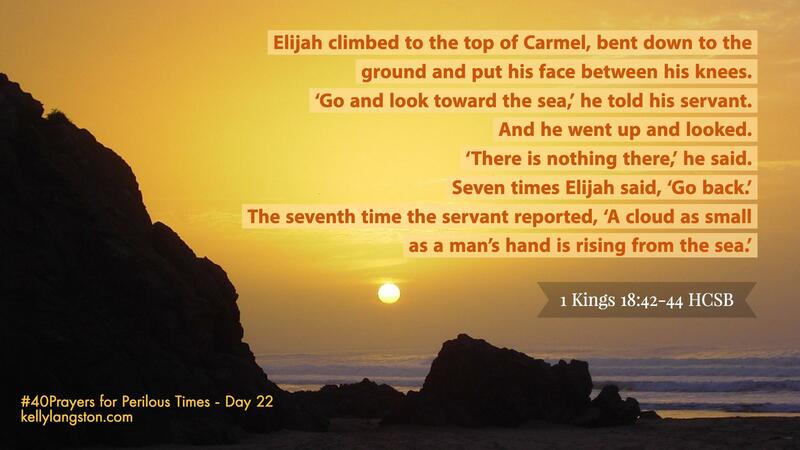 And Elijah, on the top of Mount Carmel with his head between his knees… waiting. Six times Elijah sent his servant to look to the Mediterranean Sea for a sign of rain. Six times the servant returned with nothing to report. So Elijah sent him a seventh time, and the servant returned reporting a very small cloud rising from the sea. It was the harbinger of rains. Like Elijah, we are waiting in perilous times. We are waiting to see Your promises fulfilled. We are waiting for peace again on our city streets. We are waiting for hardened hearts to turn back to You. And most of all, we are waiting for the world to see Your glory rising like steam over the sea. We are waiting for heaven’s rains to saturate this dry place with grace. And waiting for answers to our prayers. Lord, would you help us not to get distracted as we wait? Help us believe Your promises… even when the reports we hear are not good. 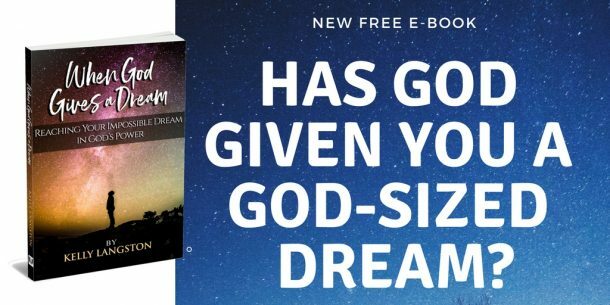 We will keeping praying—and keep asking— seven times and more! Watching and waiting until we see Your glory rising.